Understand and profit from understanding market psychology. Only in this book/DVD course combination will you be able to fully absorb the wealth of material that Oliver Velez is set up to offer. The easy-to-understand definitions and eye-opening self-tests bring the information to you and the power to your trades. Don't end up on the wrong side of the market. 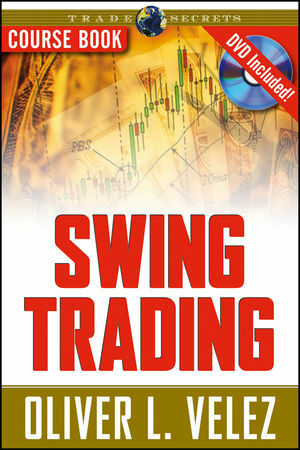 Swing Trading is the perfect tool for the investor who wants to understand the forces that shape the trading arena. This presentation has been viewed live and on DVD by hundreds of thousands of traders. Now you can use this course to rise above the impulse of novice traders. It's the best way to master the cycles and win consistent profits. Street Journal, Barron’s, Forbes, Stocks & Commodities and a whole host of other financial publications. He has also been the subject of numerous articles and books written about Wall Street’s most successful traders, including the popular book, Bulls, Bears and Brains. Oliver L. Velez is internationally known for founding and growing Pristine Capital Holdings, Inc. (a firm he started out of his New York City basement apartment) into one of the country’s premier educational institutions for investors and self-directed, retail traders. After serving as Pristine’s Chairman and CEO for 12 years, Mr. Velez decided to turn his full attention to the professional trading arena. His new training program called Trade for Life™, which includes a 2-day seminar and 5-day Live Trading Session with Mr. Velez himself, is designed to train traders to go beyond retail to trade the markets professionally. the potential to serve as a solution to many of the world’s social ills. Through VCM and the Velez Family Foundation, Mr. Velez will be opening up trading divisions and training centers in Beijing, Vietnam, Moscow and Mexico City. More major cities throughout the world will be added in the future.